A few years ago I had a quad bike accident. We were on holiday, and we went for an ride in a mountainous forest over very rough terrain. It had rained heavily in that area about a week before, and the dirt road was in a poor condition. Toward the end of the route there was a notoriously long and steep slope. Due to the recent rain, drainage lines and small ditches crisscrossed the road. I tried very hard to ignore my fear, and kept telling myself that I’d always been fine before, regardless of the terrain. The ride was a huge adrenaline rush, but it took a lot of focus and concentration to stay safe. About 500 meters down the road we went round a tight hairpin bend. As we cleared it I saw that the slope was even steeper than we’d expected. Panic rose immediately, and at that moment my front wheels hit a shallow ditch in the road. I’ve often negotiated similar situations successfully, but this time I made the wrong decision. I turned the wheels of the bike the wrong way and it overturned. Momentum flung the bike (with me on it) down an embankment, and I came to a halt about 25 meters below the road. I’ll spare you the details of my injuries. Suffice to say I survived to tell the tale! But how does my quad bike accident relate to psychological safety at work? The answer is that bad experiences often teach us good lessons. That incident taught me that we often don’t make sound decisions when we’re panicked or fearful. We might even act against our better judgment. I know now that if I had managed to stay calm and focused that day, I would probably not have had an accident. When we work in a psychologically unsafe or risky environment, we’re in a constant state of fear and anxiety. This takes a lot of energy, and the result can be even higher levels of fear and anxiety: it becomes a vicious cycle. And even if we don’t always feel scared or anxious, we may have to put a lot of thought and energy into weighing up every word and action to keep ourselves psychologically safe. In situations like this we can’t give our best or live up to our potential. @cdemgo Psychological safety is about individuals feeling empowered to share ideas/thoughts without fear, reprisal or humiliation. @Jikster2009 Being able to be your authentic self without fear of discrimination or prejudice. Also to be able to take risks, speak your mind, and contribute. Q2. What are the signs and symptoms of working in a psychologically unsafe workplace? Many participants mentioned the fear of making mistakes, lack of happiness, and low motivation. @GenePetrovLMC I think fear is a big sign of a work environment that is unsafe psychologically. Fear to act, fear to speak, fear to think, fear to give feedback. @WonderPix Very little interaction, fear of punishment, low engagement. Not a happy place to be. Q3. Who has influence over people’s psychological safety in the workplace? Some of you said that everyone has a role to play in this, not just management. @ChayneDaisy I believe everyone can have influence – although importantly, senior leadership can influence, demonstrate and build a positive culture. Why wouldn’t they want their employees to flourish? @GThakore Team members, associates, but above all your tough mental attitude plays the the major role. Q4. Is the level of psychological safety in an organization determined by leadership, managers or team members? @MicheleDD_MT People can feel unsafe in any work situation and at any level. I’ve seen lack of safety in teams, on the shop floor, as well as when working with senior managers. @idnorwood I’d go with colleagues. A good support network at work helps create a supportive environment. My employer has a set of “Well-Being Ambassadors” who anyone can talk to. Q5. Are people becoming “snowflakes”/too fragile/sensitive/victim-minded? This question referred not just to millennials, but to all generations. Many people responded with a “yes and no,” but others felt more strongly about it. @CrossedWiring I find that difficult to answer, as I had several years of being in a very toxic situation, where others behaved like “snowflakes” if they were upset about some minor thing, but were vicious towards others. @PG_pmp Yes. In this era people are becoming more fragile/sensitive/victim-minded and becoming more intolerant. @Singh_Vandana Quite difficult/unjust to label a particular generation. Whosoever it might be, much depends on the company culture. Q6. What are the benefits of creating a psychologically safe environment? @JKatzaman A psychologically safe environment eliminates a whole host of potential relationship problems. Workers are happier and more productive. @sittingpretty61 Studies suggest that employees who express greater job satisfaction also exhibit greater productivity, higher attainment of goals, and cohesive teamwork. Q7. What’s the difference between trust and psychological safety? Although one can’t replace the other, trust is an important part of psychological safety. Trust forms between individuals, while psychological safety – or the lack of it – arises from the behavior of a group. @BrainBlenderTec Trust is the conduit of psychological safety, as constant fear quickly becomes dangerous. @Midgie_MT I see trust as being part of what psychological safety is all about. There needs to be trust between employees and managers, and between colleagues, to contribute towards a safe environment. Q8. What attitudes and/or behaviors contribute toward a psychologically safe environment? @Chetna1806 Communicate, collaborate and create a space for coexistence and respect. Lead with empathy. @NWarind Free mentoring and liberal learning. Q9. How might you deal with conflict among the team to ensure everyone feels heard and safe? Conflict doesn’t simply go away, and if you don’t deal with it, it’s likely to get bigger. So don’t be tempted to ignore it. And remember to ask good questions! @Yolande_MT Focus on things you can change and don’t go on and on about things that can’t be changed or controlled. Allow people to express how they think/feel in a respectful way, but deal with disrespect swiftly and decisively. Q10. What can you do, as a manager, to help your team know that they are in a safe environment? @JusChas Don’t ask your team members to do anything that you wouldn’t do when it involves safety. Additionally, be mindful of their concerns and provide reassurance while displaying confidence. @KobusNeethInst Praise often and say thanks for all ideas – not just so-called “good ideas” (which often turn out to be bad in the end). Psychological safety in the workplace is a key element in building a winning culture. As we all know, a company’s culture can make it or break it. It’s also a powerful factor in attracting the right kind of talent. 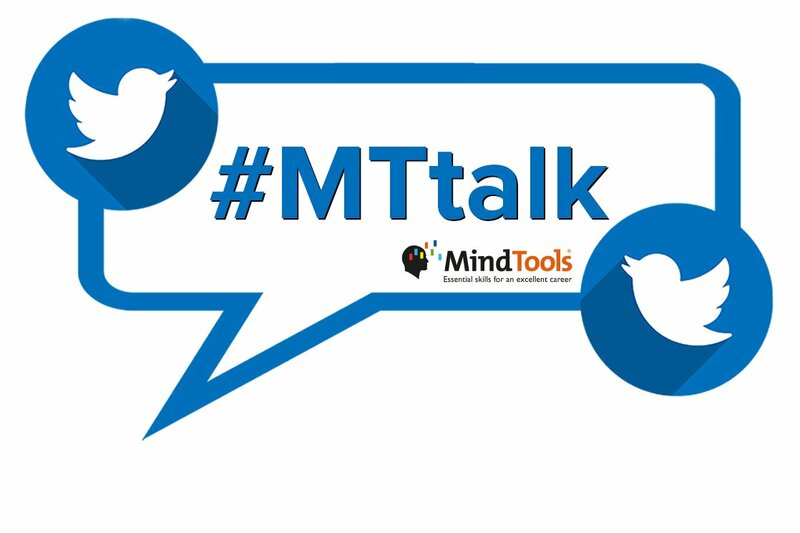 Next time on #MTtalk, we’re going to talk about building a winning culture, and we’d like to know what you think is the most important element in building and maintaining a winning culture. Click here to see all the options and to cast your vote. In the meantime, here are some resources that relate to psychological safety.